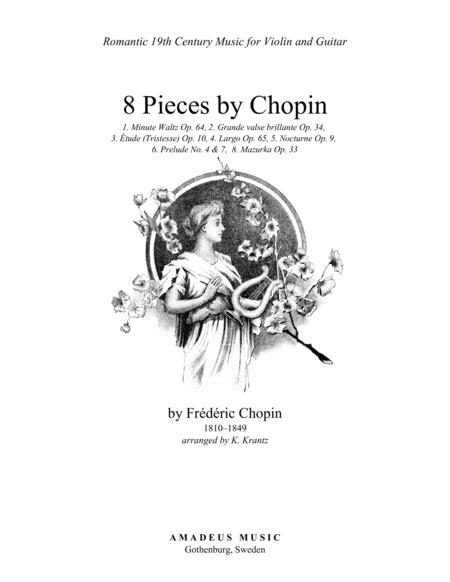 Composed by F. Chopin (1810-1849). Arranged by Klas Krantz. Romantic Period, Wedding, Funeral, Recital. Individual Part, Score. 30 pages. 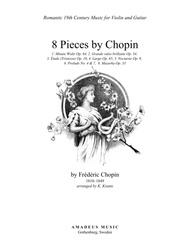 Published by Amadeus Music (S0.24851). For violin and guitar, score and part, 29 pages. 8. Mazurka Op. 33 No. 1.